�����After last week�s major downturn in metals, Gold is down another $100 this morning. Make sure you check current prices before committing to any trades. Many analysts feel this decline in metals is not over so patience for the next few weeks is a wise precaution. Despite this negative impact on the market, dealers are still buying and selling lots of bullion related coins. The Teletypes are very busy as dealers are maintaining a balance in their bullion inventories. 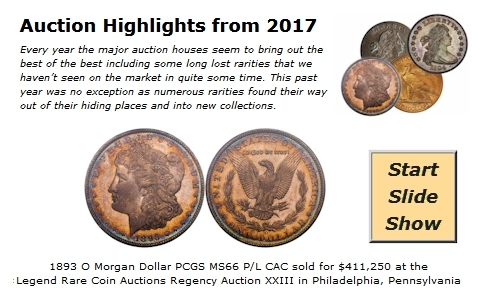 �����The rare coin market appears to have gained added momentum over the last few weeks as we note new gains on high value coins. 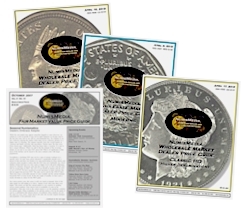 In this week�s HD Wholesale Market Dealer Price Guide there is an abundance of advances throughout the charts beginning with the Bust Half Dollars through Silver Dollars. 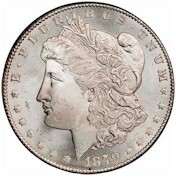 With the recent sale of the Jack Lee 1879 CC Morgan Dollar in MS66 the Market advanced to $85,000. Several other Carson City Dollars rose as the popularity of this mint continues in all grades, including GSA, Prooflike and Deep Mirror Prooflike. �����Generic U.S Gold is lower in most grades, Good through MS65, due to the dramatic drop of Gold bullion. We will continue to update the charts online so make sure you check for more changes. �����We have just added our Plus (+) prices to the FMV Online Price Guide, free to all NumisMedia visitors. Additionally, price changes and comparisons for FMV and Plus prices are now reported for the past month and year to date, accessed by clicking a date within the price charts. 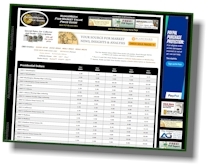 Price changes and comparisons are also available for all six Online Dealer Price Guides. We hope you enjoy these new features and your feedback is always welcome.